Hello Dealsnloot Readers,loot offer for Airtel users. Download 4 apps on your phone and get 1.2GB data free. 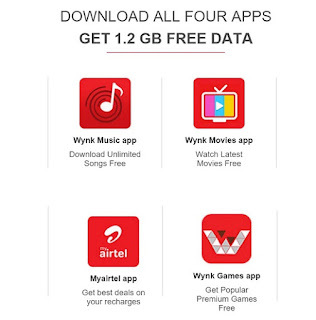 The apps are MyAirtel app, Wynk Music, Wynk movies and Wynk games. 1.2 GB will be credited over 3 months as 100MB Night Data per app per month. Data can be used only at Night (from 12 AM to 6 AM) at the existing speed which you have subscribed to.Limited time Offer So Do Hurry. 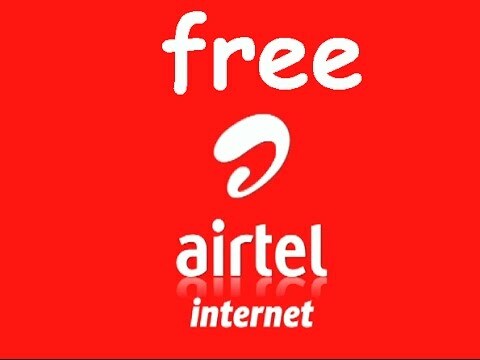 The free 1.2 GB offer is available for all Airtel Prepaid subscribers (User) in India starting from 7th January, 2016 (“Offer”). This offer entitles the Users to get free data up to 1.2 GB, which can be used only at Night (from 12 AM to 6 AM) at the existing speed which the User has subscribed to. In the My Airtel app, the Users can claim the offer through the latest updated version of the app installed on his/her mobile device, once every calendar month for the next 3 months from the start date mentioned above. In the Wynk Music & Wynk Movies App, the first installment will be credited on installing & opening the latest updated version of the app through Airtel mobile internet or post registration with an Airtel prepaid number. The second installment can be claimed by opening the above Wynk apps post 30 days of first claiming the Offer. The third installment can be claimed post 30 days of claiming the second installment through above Wynk apps. The third installment needs to be claimed within 90 days of claiming the first installment of the Offer. In the Wynk Games App, the first installment will be credited to the Users post opening the app through Airtel mobile internet network or on post registration with an Airtel prepaid mobile number. The second installment can be claimed by activating the FREE Games subscription via the app post 30 days of first claiming the Offer. The third installment can be claimed post 30 days of claiming the second installment by activating the FREE games subscription via the app. The third installment needs to be claimed within 90 days of claiming the first installment of the Offer. The differential of 28.8 MB between 1200 MB which is 12 installments of 100 MB each and 1.2 GB shall be credited as and when the Users complete the steps as laid down above to avail the Offer across all the apps, along with the 12th installment. o Wynk Games: Android users. This offer cannot be combined with existing 50% Night Cashback Offer on Airtel Prepaid. Existing users of all the above apps namely My Airtel app, Wynk Music, Wynk Movies App, Wynk Games app will also be eligible to avail the Offer and can claim the same in accordance with the steps laid down above. 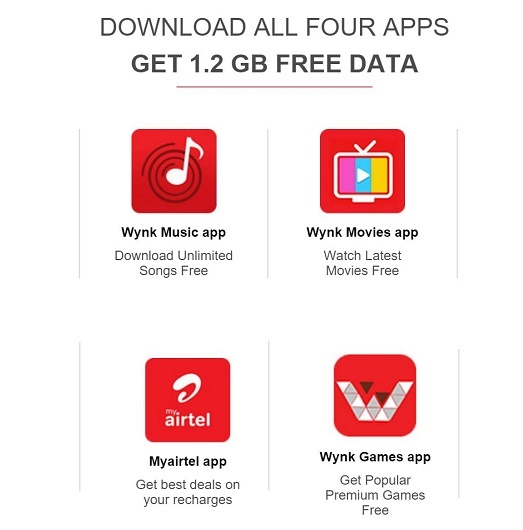 Users acknowledge that he/she waives his/her right to ‘Do Not Disturb’ services and Airtel/Wynk is free to communicate regarding this Offer or other offers related to these apps, with the Users.